racing in CSA 5. 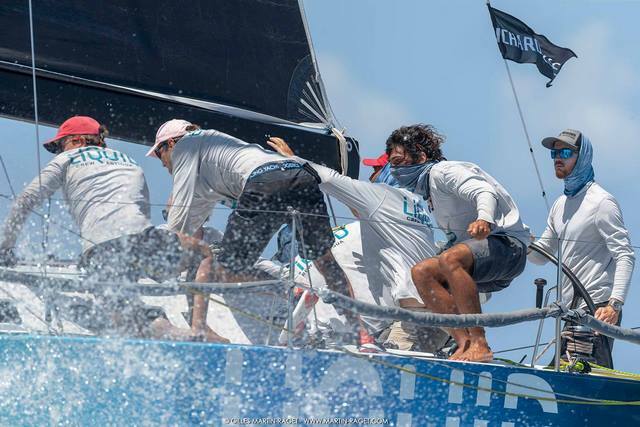 “I like the harbor here, and how all the boats and the Race Village are all so close together. 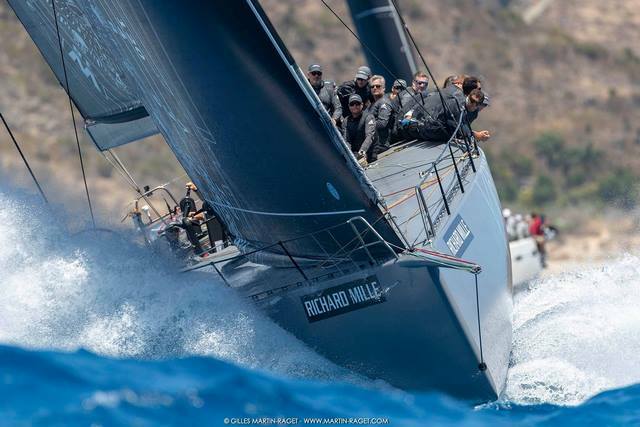 in events such as Sydney to Hobart and now Les Voiles de St. Barth Richard Mille. he said. ‘The maneuvers were very important. I think we have done well today overall with no major mishaps and clean maneuvers. 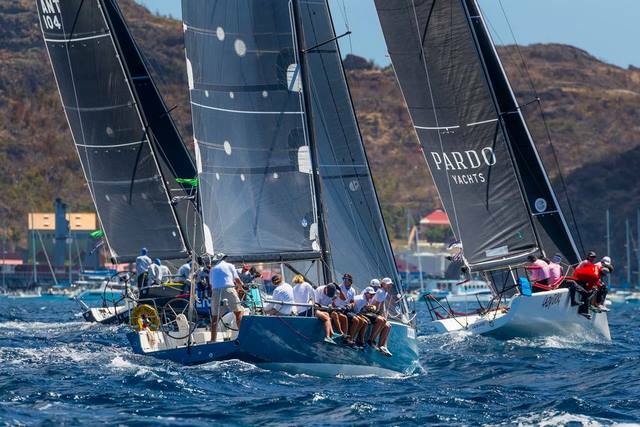 the smallest boat in the regatta, is in 2nd, and Maelia Caisse d’Epargne Cepac Antilles is in 3rd. said Van der Straaten, who is tactician on board. 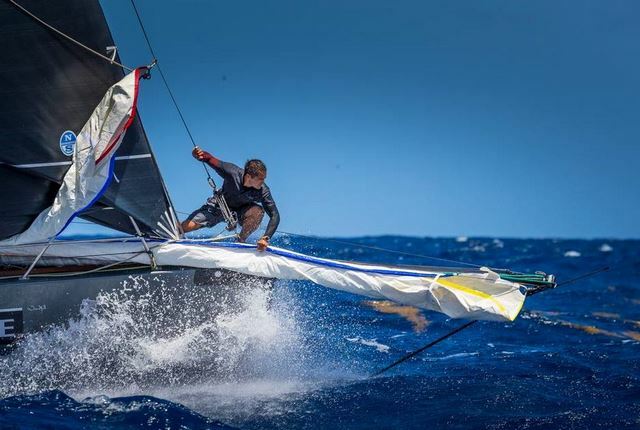 Vincent is sailing with his long-time crews that he races with between California on a J111 and Florida on his Aerodyne 38. 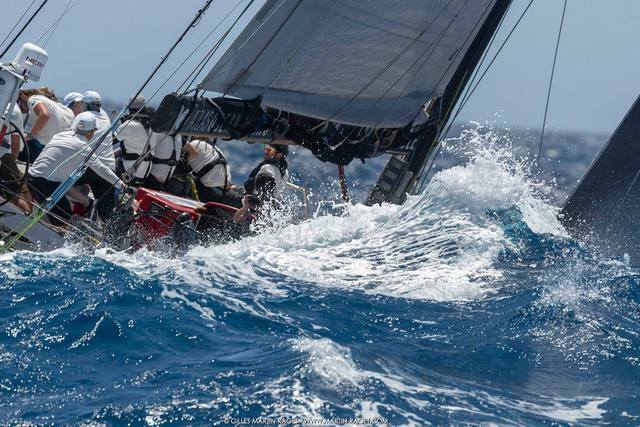 “We hit 20 knots of boat speed today and that’s just a fun thing to do. 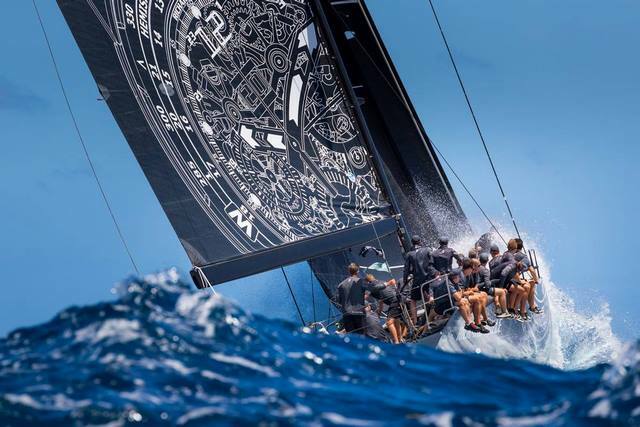 My other boats are a little smaller than this, and this boat is 30% faster. Kick ‘em Jenny, in 1st and 2nd respectively; with Taz, a Reichel Pugh 37, in fourth. 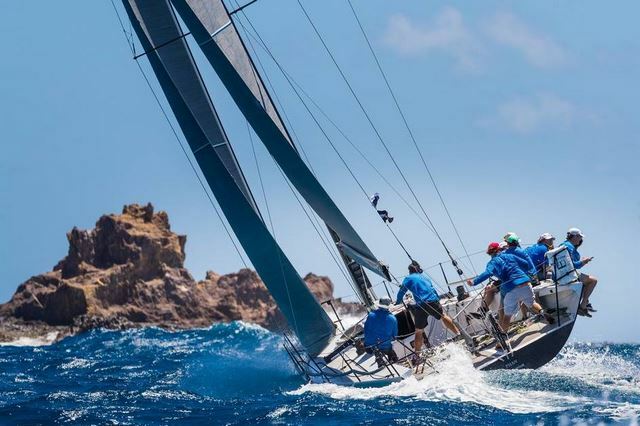 Another Les Voiles de St. Barth Richard Mille first timer is Chris Brody, skipper/owner of El Ocaso, a J122, who has also fallen under St. Barth’s charms. “We already love it here, and have just had a ball. We’re here from the UK with my family and some of my regular crew. 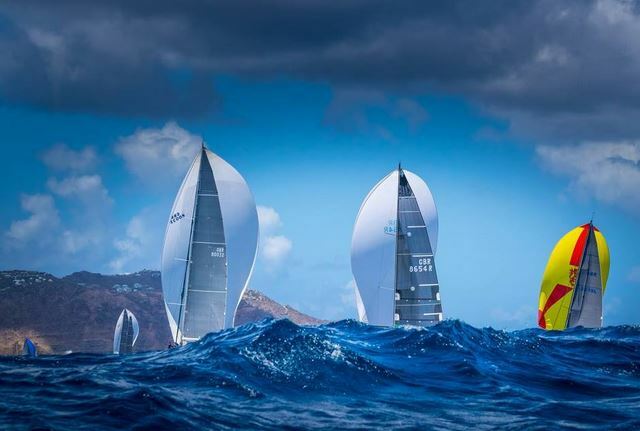 Although we didn’t do as well as we hoped today, we expect to improve as the regatta continues,” he said with a smile. in first through fourth, respectively. Pierre Casiraghi. 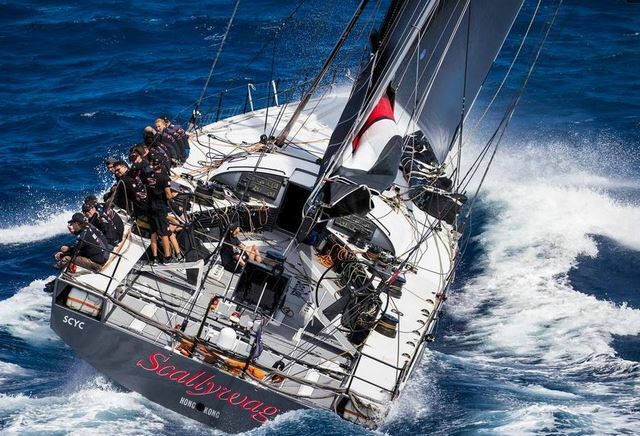 SHK Scallywag, the Dowell 100 is in 2nd, followed by Ambersail 2 in 3rd. 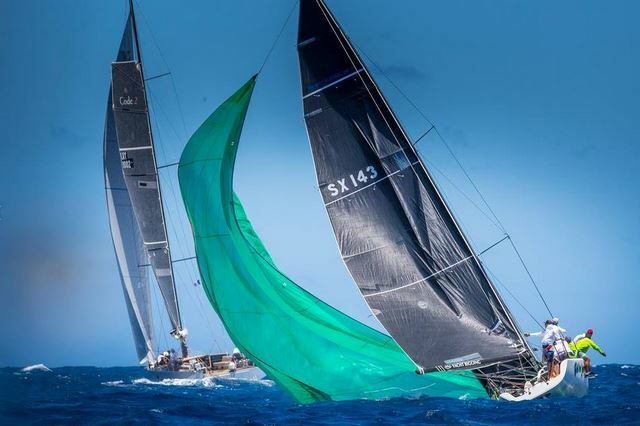 Day Two delivered a Caribbean-perfect easterly 15-17 knots for the 10th edition of Les Voiles de St. Barth Richard Mille for the 1,000+ sailors to complete one distance race between 21 – 34 miles dependent upon their class. While too early to place any bets, patterns are forming across seven of the nine classes with consistent 1st, 2nd and 3rd place. But as a Maxi collision and a Multi pre-start protest today demonstrate, no lead is safe. 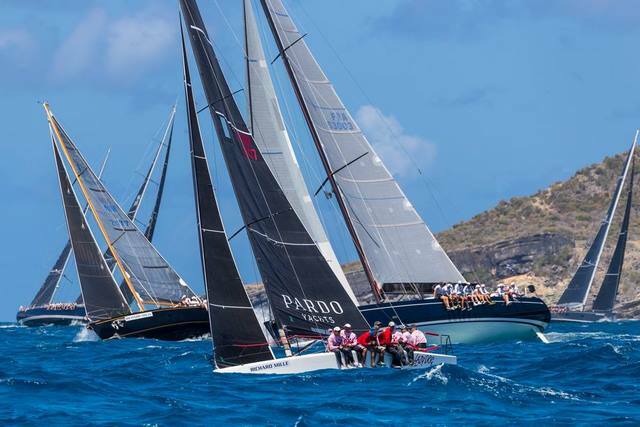 Here is today’s recap from Les Voiles de St. Barth Richard Mille. 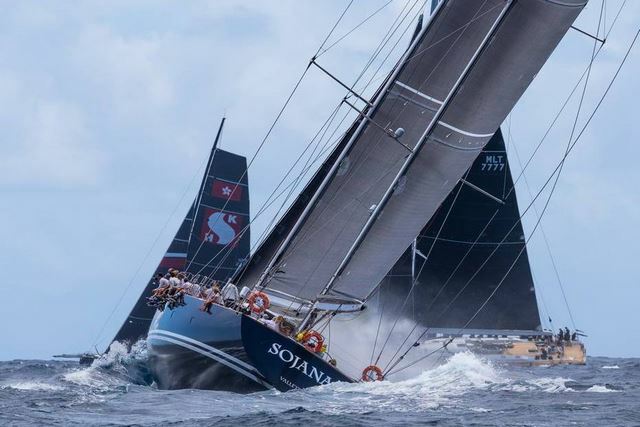 Only 40 minutes into Tuesday’s race, Selene (Swan 80) and Caro (Botin 65) in the Maxi 2 class called in their retirements after a port – starboard incident that caused damage to both boats. 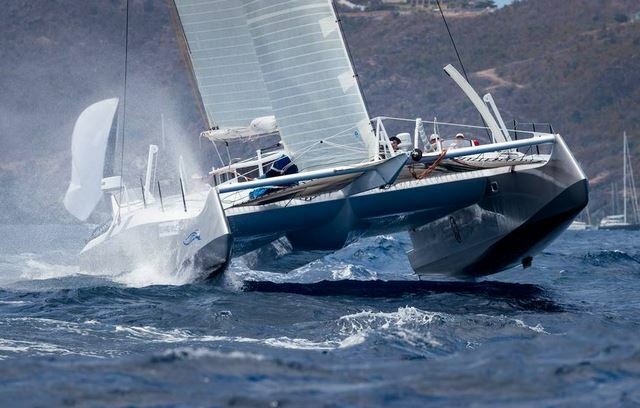 Burnham, who is also the coach for the new United States SailGP Team, confirmed they will not be racing tomorrow, as the team needs to further assess the damage. 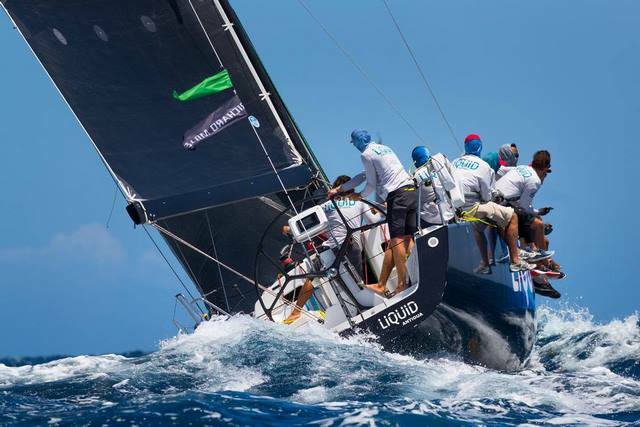 The team is hopeful they can return to finish the regatta later this week. 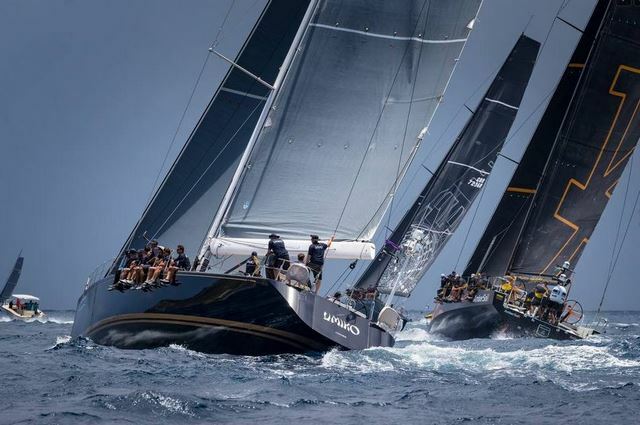 The regatta’s signature “day off” mid-regatta on Thursday may help give the team an extra day to make repairs and return to racing for Friday and Saturday. 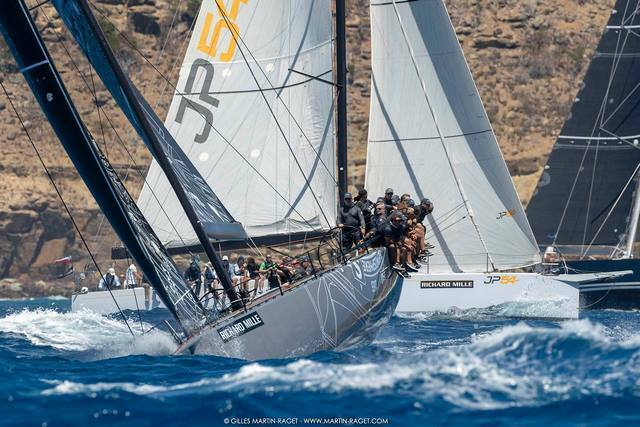 After placing second yesterday and first today, Windfall, who is last year’s winner, now sits first overall in the Maxi 2 class, followed by Sojana. 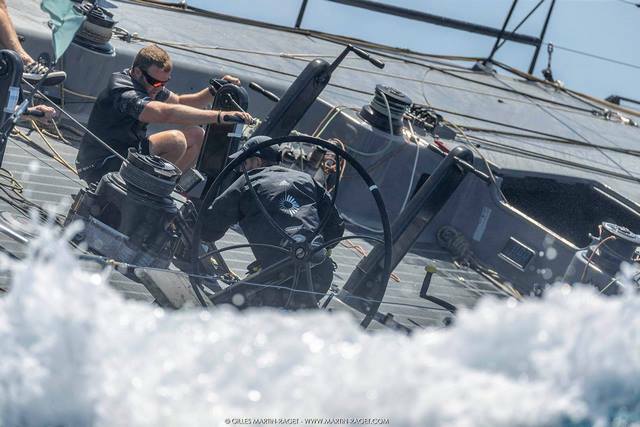 In Multihull IMRR, Hallucine skippered by Régis Guillemot and yesterday’s leader, ended today disqualified for a pre-start altercation with Arawak – Team Spellbound by Ian Martin. Martin is now hoping to capitalize on the opportunity to take over first in the class. 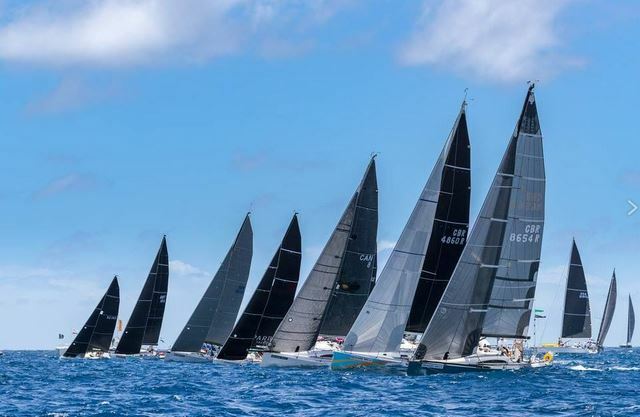 In Multihull ORCmh, Greg Slynstad’s Fujin, Stephen Cucchiaro’s Flow, and R-SIX began staking claim on the podium with repeat 1 – 2- 3 place finishes today. Triple Lindy moved up one spot to second place, tied with on points with Pata Negra. The next battle developing is between The Kid and Hermes are next tied on nine points in fourth and fifth place. 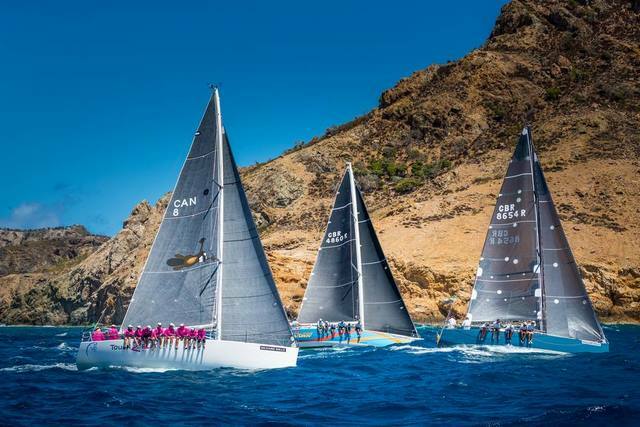 CSA 1 – 5 had two races today between 12 – 14 miles, and while the overall podium positions are solidifying across the fleets, the results do not necessarily reflect the close competition, tight finishes and fun racing, according to Larry Huiber of Touch2Play racing in CSA 4. 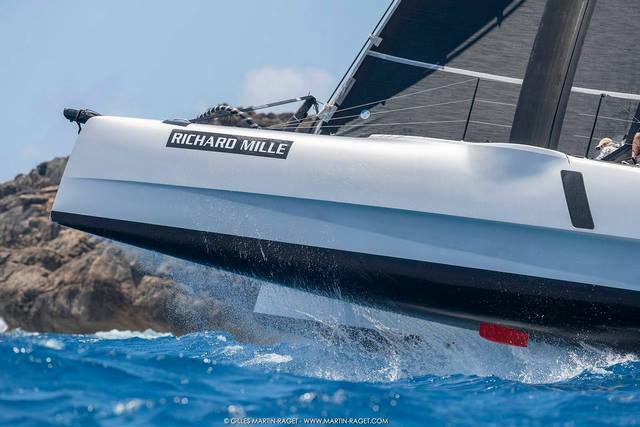 For 2019, the Richard Mille Record Trophy race was a 34 nautical-mile course to Saint Martin and back to St. Barth, a perfect race track for the 100’ Maxi formerly known as Ragamuffin to stretch her legs. Skipper David Witt agreed. 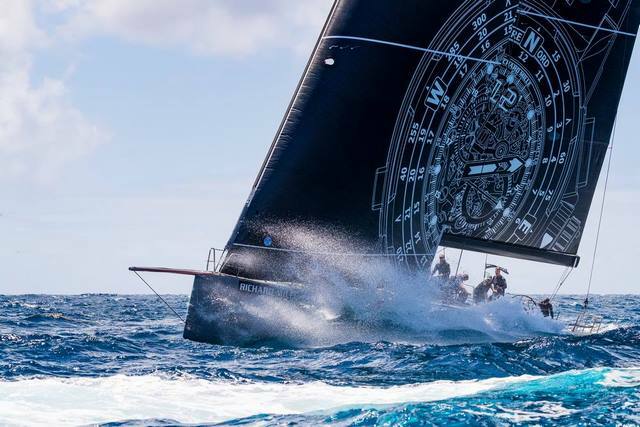 In his first time sailing Les Voiles, he was pleased to learn he helped earn the Richard Mille Record Trophy for the team and owner Sung Huang Lee, who was here driving the boat earlier this week. 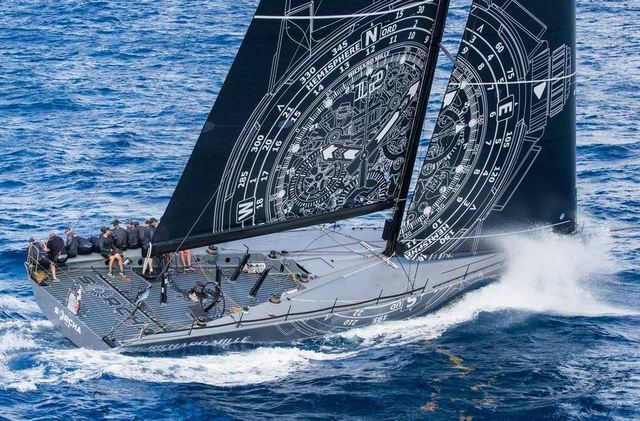 Today’s distance race also doubles toward points in the overall Maxi 1 series and Peter Harrison’s Sorcha, skippered by Les Voiles de St. Barth Richard Mille’s Regatta Ambassador Pierre Casiraghi, won the day on corrected time to continue their perfect scoreline. 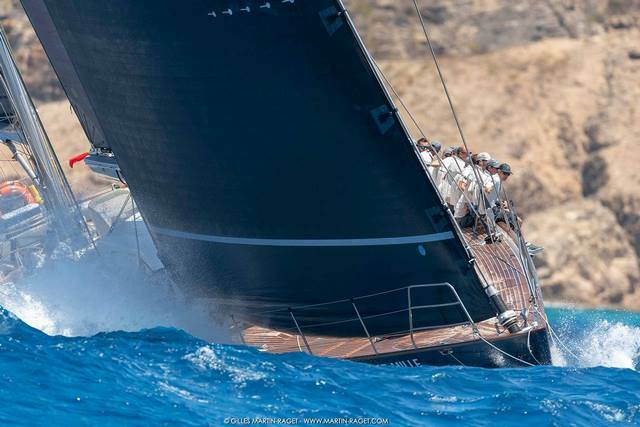 Ambersail rounds out the three-boat class in 3rd. 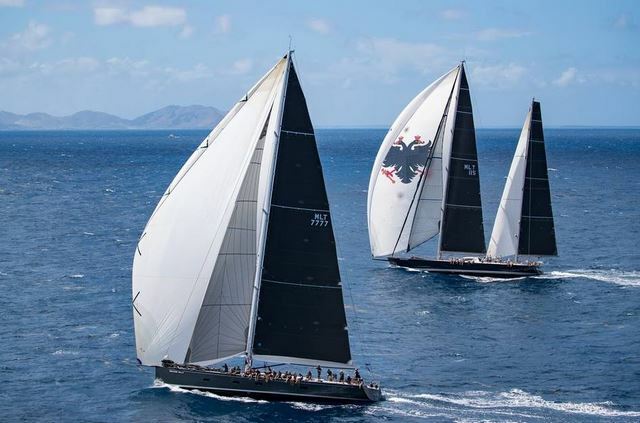 In Maxi 2, Sir Peter Harrison’s Sojana cracked the top spot today to beat Michael Cotter’s Windfall. 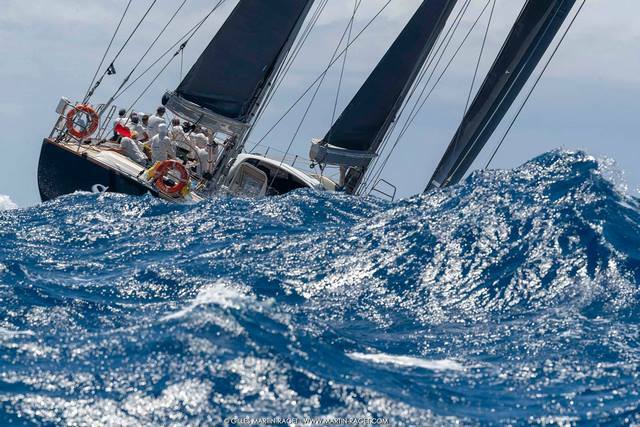 Hallucine (12 points) currently sits in 2nd overall behind Guyador Gastronomie (6 points), and ahead of Arawak-Team Spellbound (16 points), who is tied on points with Rayon Vert in 4th place. 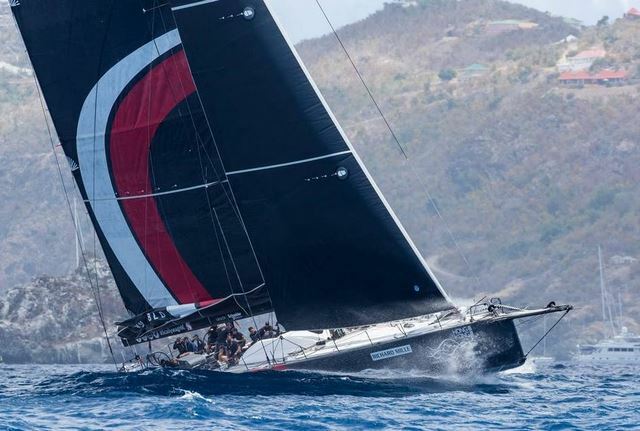 In ORCmh, Stephen Cucchiaro’s Flow, a Gunboat 60, returned to action today with a first-place finish (retired from Wednesday’s race with a ripped mainsail), followed by the 2019 Richard Mille Record Trophy winner Fujin, who placed second on corrected time. R-SIX finished third today, and sits in 2nd place overall. 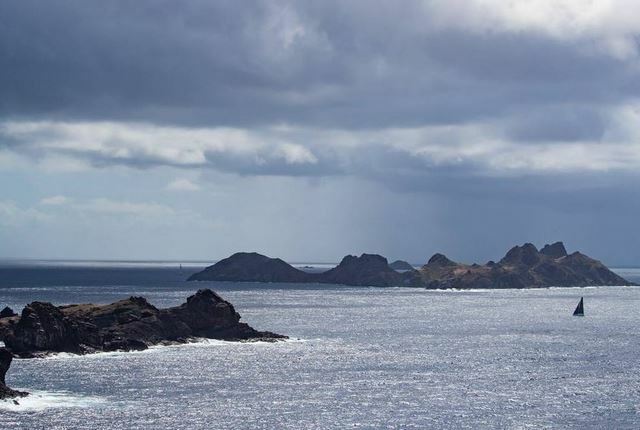 The leaders of CSA 2 (Andrew Berdon’s Summer Storm), CSA 3 (Sergio Sagramoso’s Lazy Dog) and CSA 5 (Claude Granel and Marc Emig’s Credit Mutuel – SGS ) will carry their perfect 1st place scorelines heading into tomorrow, the last day of the 10th edition of Les Voiles de St. Barth Richard Mille. 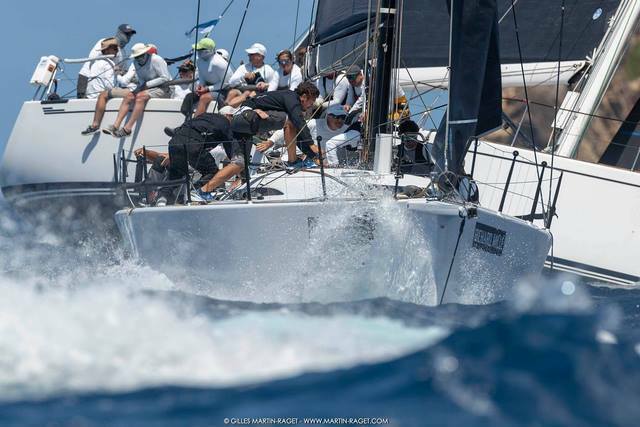 But the finishes and overall scorelines don’t necessarily reflect how close the racing is across the classes, according to Larry Huiber who races on board Touch2Play Racing in CSA 4. 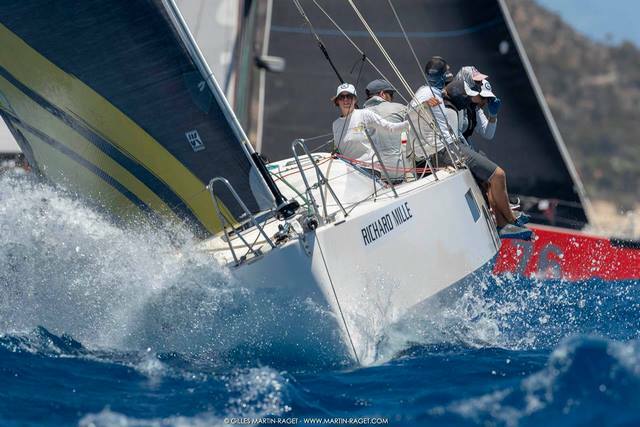 Touch2Play Racing finished the second race today with a 2nd place, “by just one second!” said Larry Huiber. 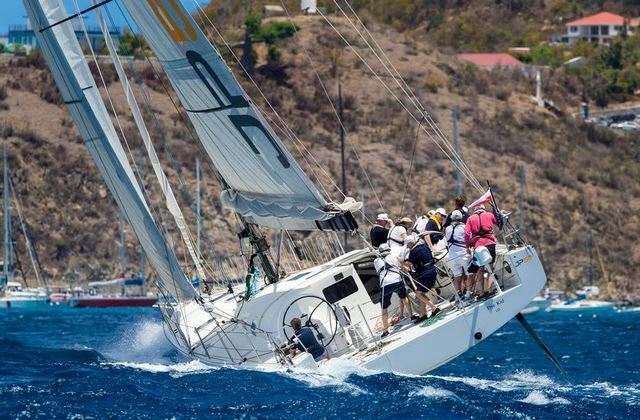 Current standings for CSA 4: Pamela Baldwin’s Liquid has a solid hold on first place with six points overall; followed by Holding Pattern in 2nd with 15 points; and Touch2Play Racing in 3rd place with 16 points. Last edited by Photoboy; Yesterday at 02:58 PM.